The success or failure of many small businesses is dependent on finding individuals likely to become customers, also known as “Generating Leads.” However, traditional lead generators have proven more and more ineffective as the marketing space becomes saturated and consumers grow more media savvy. For brand-new small business owners, this quest for lead generators is essential to grow your business. By using the 5 tips below, you can build lead generators that will ensure a steady stream of new customers. Before building a lead generator, you need to figure out who your target audience is and what they want. Once you know, tailor your plan to that audience. Advertise where they will likely encounter it using re-targeting or print campaigns. As well, factor their tastes and interest into how you market your company. Today the average consumer is very aware of marketing. Therefore, your marketing will need to be as specific as possible to your target audience. Many small businesses fail because they try for too large a target market and never generate leads from it. Plan ahead to make sure you only produce leads likely to become customers. For small businesses social media is a highly effective lead generator. Make sure your small business is represented on Facebook, Twitter, Instagram, and other industry specific social media platforms. Then make sure you update them regularly. From here you can engage with leads directly. Keep them updated with news, sales, and interesting stories from your business. Once the lead is interested in the business on a personal level, through this connection, they are likely to become customers. One of the advantages of a small business is that it can seem friendly and approachable. A strong social media presence can emphasize that. As a lead generator, no other form of marketing is as effective as video marketing. Leads watch hundreds of millions of hours of videos a day off YouTube alone. Moreover, a video takes up all a lead’s concentration for the thirty seconds it plays, unlike email or digital marketing. Small businesses can generate a lot of leads by creating a short viral video that encourages connecting to the company’s social media. Generate your own leads using marketing and PR tools. Don’t buy leads from another company. These companies are mostly untrustworthy and the leads they offer should be considered suspect. Most leads acquired by these companies chose to “opt-in” to offers from another company and have never heard of your business. Many might flag your company’s communications as spam, which will hurt your online reputation. Buying leads is also more expensive. 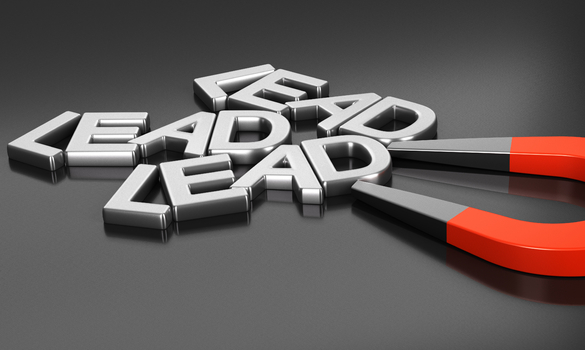 Leads you generate yourself will be stronger and more likely to become customers. A company with good lead generation is persistent in finding new lead generators. Your company should always be generating new leads. Moreover, you should always be experimenting with new lead generators. A small business should be constantly varying its marketing to reach new people. Many of these new marketing solutions won’t generate any leads, but do not get discouraged. The marketing solutions that do generate leads will make up for any loses. Lead generators are found through persistence, curiosity, and a willingness to experiment. Lead generation is the best way to make sure your business grows and thrives. Following the above tips will help make sure your company generates lots of the right sort of leads. Before you start, make sure you know your target audience and what resource marketing they will respond to. Make sure your company has a strong social media presence to draw interested leads. Focus on video marketing as an effective way to lure leads in. Avoid the temptation of buying expensive leads from unreliable sources. Finally, keep persistently seeking new lead generators and experiment with new ways of attracting leads. For any small business, these tips will help guarantee a future customer base that’s always expanding.